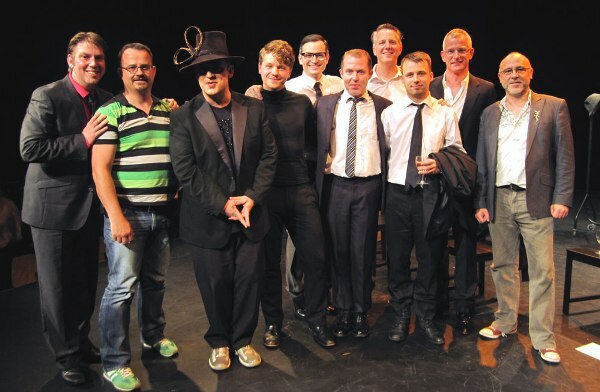 Boy George (in hat) with the cast of The Temperamentals plus, right, Brian Paddick and Patrick Wilde and director Joseph C Walsh far left. BOY GEORGE arrived with a flourish, hiding behind a pamphlet used like a fan to ward off SE10’s solo paparazzo as he swept quickly into Greenwich Theatre. “Marvellous!” thought the theatre-goers gathered outside the Rose and Crown, as they finished their drinks and rippled in after him. The show’s cast had invited their special guests – Boy George, Brian Paddick and Patrick Wilde – to Greenwich by Twitter. Amazingly, they’d all come, agreeing to sit on a panel discussion at the end. “We haven’t met in person,” said Boy George, the old hand, waving from across the stage. “I know! Hello!” waved back the young actor. We had just sat through The Temperamentals (a codeword for ‘gay man’ in 1950s America), a play about the Mattachine Society, a gay rights group founded in the USA in 1948 by Harry Hay and a young Rudi Gernreich. At the time Harry was 36 and Rudi, who later became a famous fashion designer, was 26. Rudi was Austrian, Jewish and gay and had fled Austria aged 16. Harry was American, Marxist, a teacher and married but gay. The play opens with the two of them talking, discussing ideas and flirting with each other. Harry has a manifesto, he explains later, a gay rights pamphlet, and he wants to change the world with it. “It’s the most dangerous thing I’ve ever read,” says Rudi, whose family had died at the hands of the Nazis. This meeting of minds led to the foundation of the Mattachine Society. Originally just four men, the Mattachine Society ended up spreading throughout metropolitan America, with clandestine meetings attracting hundreds of people. The story turns on the trial of Dale Jennings, arrested for allegedly soliciting a police officer (entrapment, as they used to do not so long ago and as the UK’s other famous George knows only too well). The trial led to publicity, which led to the growth of the society. “With everyone off it down at G.A.Y.,” he replied. It was a point the audience picked up on later. Do today’s young gay people care enough – or indeed know enough – about the things their politically-motivated gay forefathers went through? Do they know they suffered? Does it matter? Boy George said the Mattachine Society was all news to him. “I thought gay history started with Stonewall in 1969.” The Stonewall Riots, when drag queens rioted in the streets of New York, are often cited as the birth of the gay rights movement. Does it matter? Yes, said Brian Paddick, it all matters, history is important. We live in a diversity bubble in London and it’s easily burst. Just this week, he said, his (gay) neighbour had ‘banned’ him from helping him shift furniture out to the countryside. “My neighbour thought his parents might recognise me as a gay man and that would out him,” he explained. The neighbour has lived with a boyfriend for six years. “And this is in Sussex,” he said. But of course, pointed out Patrick Wilde, the world has moved on a lot and this story wouldn’t happen like this today. The internet, Facebook and Twitter would see the message spread like wildfire. This was theatre you had to concentrate on. Miss a line or two and you could be lost. You had to work at it – characters popped in and out played by the same actor and it could take a moment to catch on or up. It felt like a difficult web to weave, which is perhaps the point. Numerous strands of history – WWII, Jewish history, Black history, gay rights, Hollywood, fashion, Communism and then to top it all the McCarthy Trials – plus the character’s own personal lives were all in the mix. It left you feeling a little exhausted but also on the road to exhilaration. It didn’t happen on Thursday night, but apparently the show was electric on the Wednesday. And I could well see why. 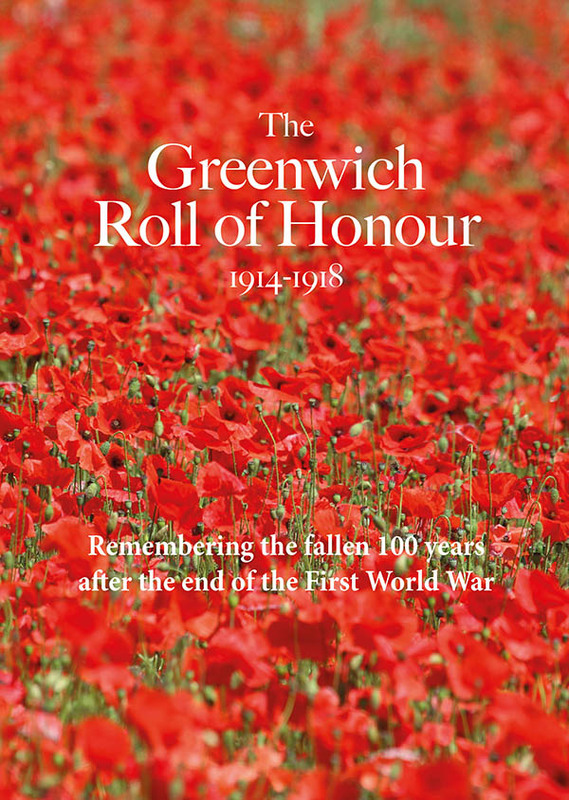 The history is fascinating, the struggle each individual faced – public shame and professional failure – humbling and the pair at the centre of it all clearly in love, both intellectually and physically, but strained because of it. It was, in short, a demanding play with a lot of words – lightened by a sprinkling of good one-liners delivered with comic perfection by Matt Ian Kelly playing co-leader of the society Bob Hull. But demanding is good. You could imagine it being pared back and powerful in a tiny theatre, or you could see Kevin Spacey playing the lead in the movie. Either way, it’s sure to carry on. Written in 2009 by Jon Marans it’s already won a handful of awards. It’s also attracted the attention of some big names. Sir Elton John helped back this particular production financially – a sure sign that the long forgotten tale of Harry Hay and Rudi Gerngreich, won’t be forgotten for very much longer.